The Grand Theater Foundation received yet another donation Wednesday. 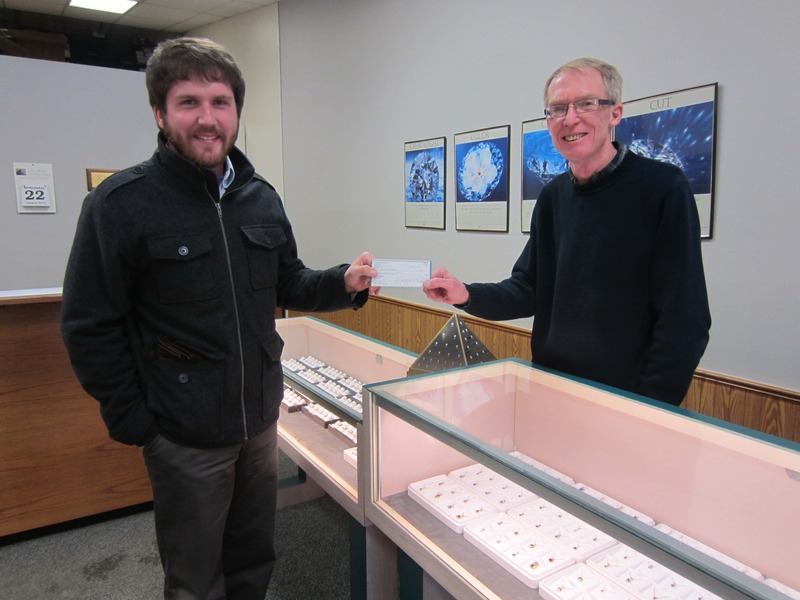 Rick Gibson, with Gibson Jewelry and treasurer with Riverside Community Church presented Dylan Morse, with the Grand Theater Foundation with a $250 check. Gibson says the church community is very pleased to contribute to the Grand Theater project because it’s something the community and the area needs. Morse said it is very encouraging to see a church step up; it’s a good example of everyone just donating a little bit, it adds up. He says it’s another step forward for the Foundation.